Apartment Comfort in downtown Sarajevo street. Muse Ćazima Ćatića offers an ideal opportunity for exploring the city and urban life. 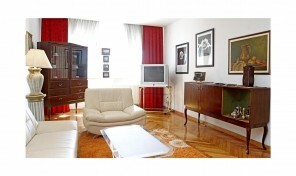 The apartment is located on the 2nd floor and offers the possibility of parking. Apartment size is 32 m2, is available with double bed or two single beds. 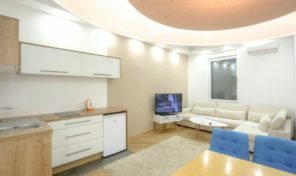 The apartment is modern design equipped kitchen, fridge, LCD TV, wireless internet. The bathroom is equipped with shower, toilet, lavatory.